Mr. Brainwash will have a new print available soon titled, “Love Heart”. On sale Friday, February 3rd at 12pm PST HERE. 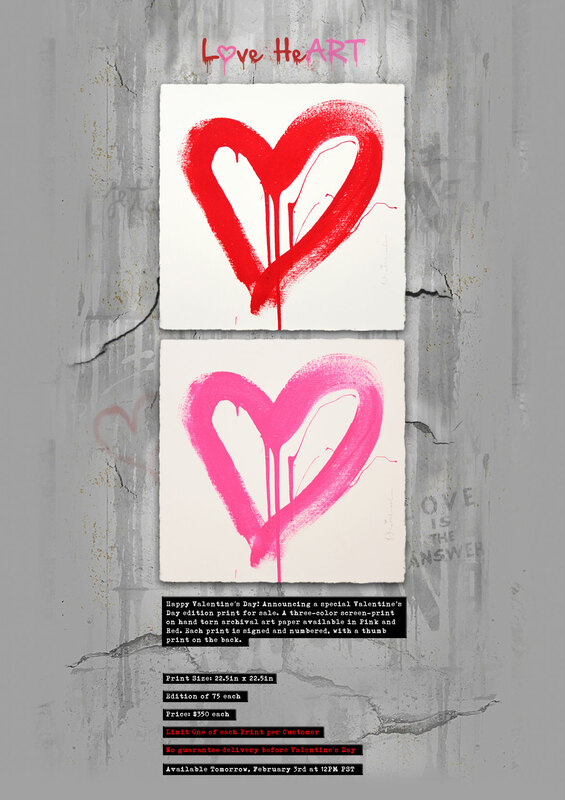 This entry was posted in Art Prints and tagged Heart, Mr. Brainwash, Valentine's Day by admin. Bookmark the permalink.